Engineers from the University of California, San Diego are playing a big part in the Trillion Sensors Summit (TSensors Summit), which is coming to San Diego on Nov 12-13. 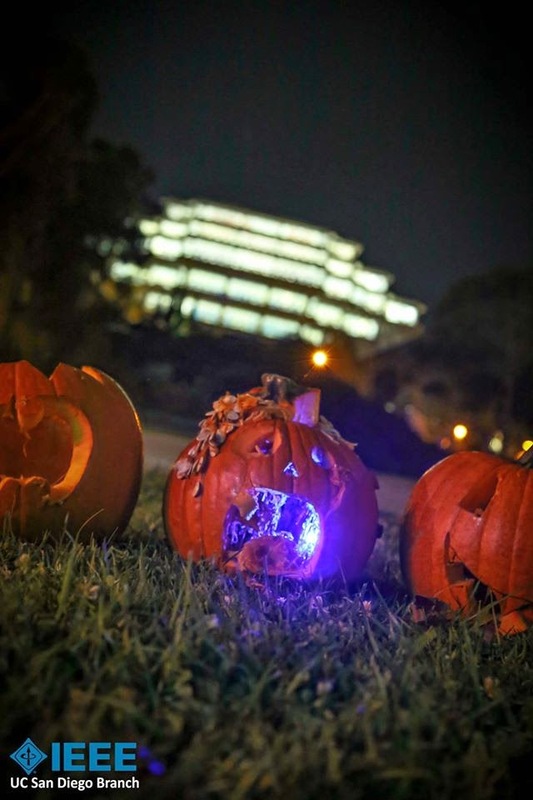 The presentations from professors at the UC San Diego Jacobs School of Engineering will cover the hot topics of sensors for the quantified self, ubiquitous sensing in healthcare and wellness care, ubiquitous skin sensing and sweat-powered sensors. Key decision makers from industries planning to participate in, and benefit from, emerging global economic tides, such as the Internet of Everything, mHealth, Central Nervous System for the Earth and Context computing. Researchers from academia and industry involved in both related R&D and restructuring of academic curriculums to pave the way for emerging global tides and massive jobs retraining need they create. Government representatives involved in structuring funding of advanced technology programs and jobs creation initiatives. Analysts from the financial community tracking sensors, Internet of Everything, mHealth and TSensors initiatives. Below are the UC San Diego participants in the Trillion Sensors summit. 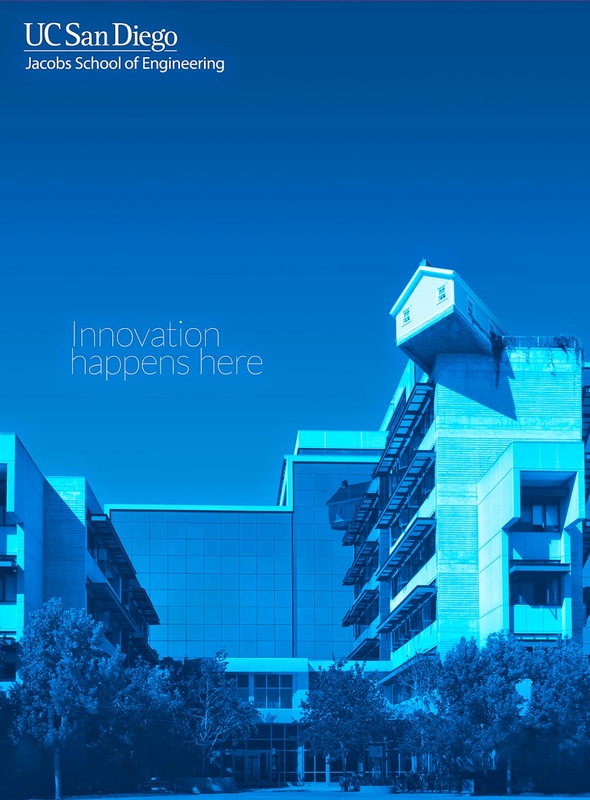 In addition, there will be a UC San Diego lab tour for select attendees on Friday Nov 14. 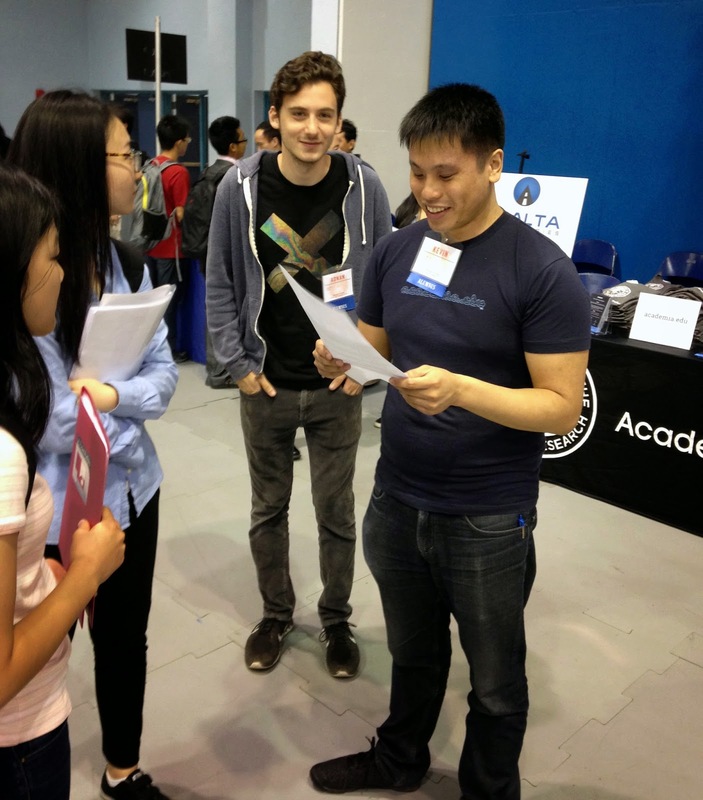 UC San Diego alumni Adnan Akil and Kevin Wu staffed the academia.edu booth yesterday at the UC San Diego Science and Technology Job and Internship fair. They were busy recruiting software engineers to Academia.edu which describes itself as a platform for academics to share research papers. Akil and Wu landed at Academia.edu by way of a startup they co-founded: a peer-review platform called Plasmyd. Almost a year ago to the day, the announcement came out that academia.edu acquired Plasmyd. At the time, Akil told pandodaily, “[Academia.edu has] built the largest online community of scientists while we’ve been working on building the next generation tools of peer review,” said Plasmyd’s co-founder Adnan Akil. Akil, a Jacobs Scholar, was a bioengineering major at UC San Diego and went on to UC Irvine for graduate studies in stem cell biology. Wu studied bioinformatics at UC San Diego. 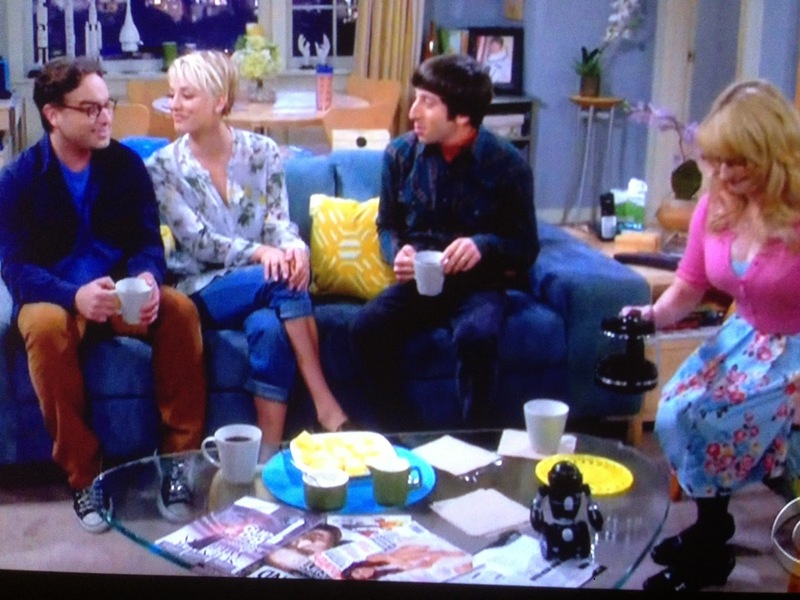 Fans of the Big Bang Theory on CBS, you may want to watch this week's episode again. 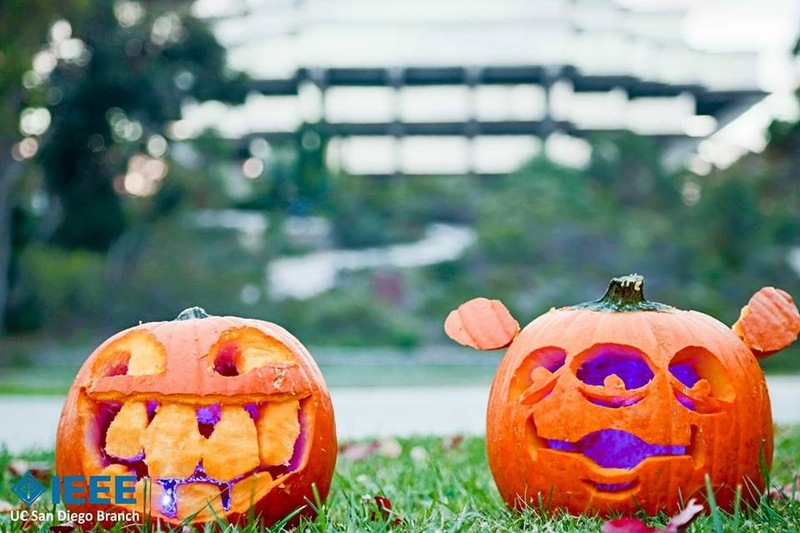 It was the most-watched prime-time show this past Monday, Oct. 20 in all demographics. And MiP, a toy robot designed by the UCSD Coordinated Lab and toymaker WowWee made an appearance in one key scene. Remember that scene when Penny and Leonard are talking to Bernadette and Howard about finances? Look at the objects on the table. There is a MiP, right there. It's unclear whether the robot will be part of a plot in upcoming episodes. We'll keep watching. 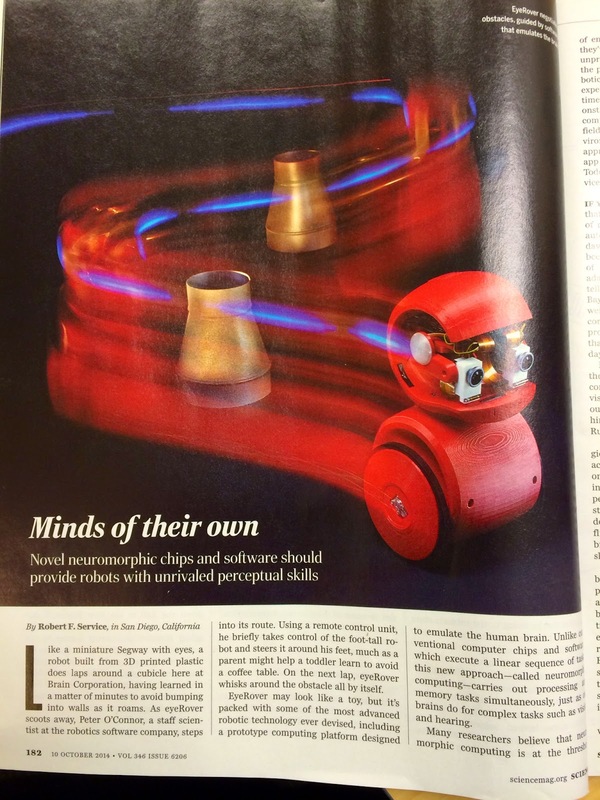 We were excited to see both WowWee's MiP and Brain Corporation's eyeRover make an appearance in Science magazine's special robotics issue that came out Oct. 10. MiP, which appears in this infographic, was designed by the UCSD Coordinated Robotics Lab, led by Prof. Thomas Bewley, and by toymaker WowWee. MiP, short for Mobile Inverted Pendulum, can balance itself and drive around on two wheels. You can interact with the robot using intuitive hand gestures. More on MiP here and here. Meanwhile, eyeRover is partially the brain child of Jacobs School alum Marius Buibas (Ph.D. 2011). Buibas led the design of the robot's hardware--the electronics, mechanics and 3D-printed body. The difference between eyeRover and other robots is that it can be taught to do a task, rather than programmed. EyeRover may look like a toy, but it's packed with some of the most advanced robotic technology ever devised, including a prototype computing platform designed to emulate the human brain. Unlike conventional computer chips and software, which execute a linear sequence of tasks, this new approach—called neuromorphic computing—carries out processing and memory tasks simultaneously, just as our brains do for complex tasks such as vision and hearing. 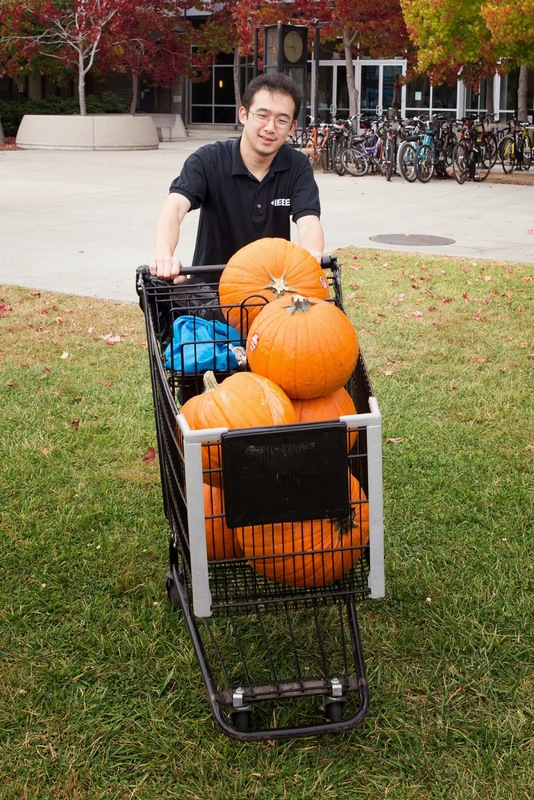 There is a common thread between the two robots: Nick Morozovsky, a student in Bewley's research group, who just earned his Ph.D. from the Jacobs School. Morozovsky developed a tool combining hardware and software to evaluate various motors to balance MiP. He also worked part-time at Brain Corporation and was the architect behind an earlier version of eyeRover that inspired the robot featured in Science. Industry recruiters, take note: Morozovsky is currently looking for a full time job. Bonus: the special issue's online version features a video of origami robots, which then postdoctoral student Michael Tolley helped develop. Tolley will join the Jacobs School faculty Nov. 1. 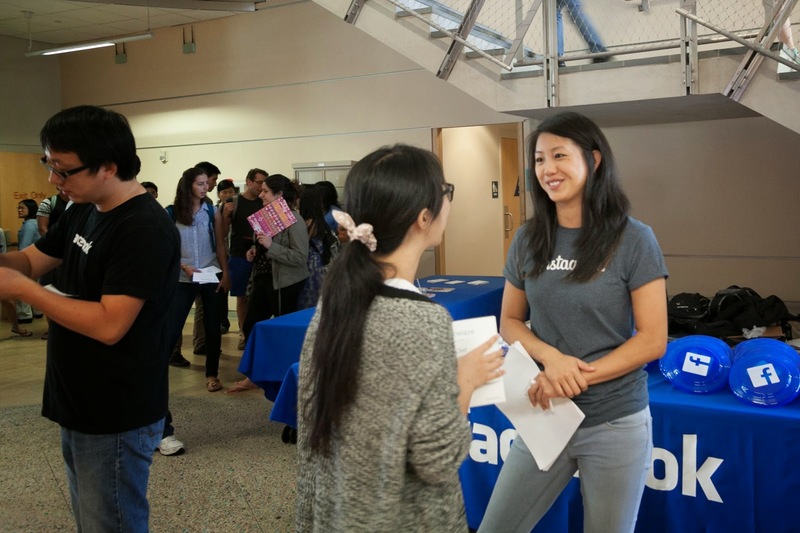 Computer science alumna Brina Lee interviews UC San Diego students during a Facebook recruiting event. 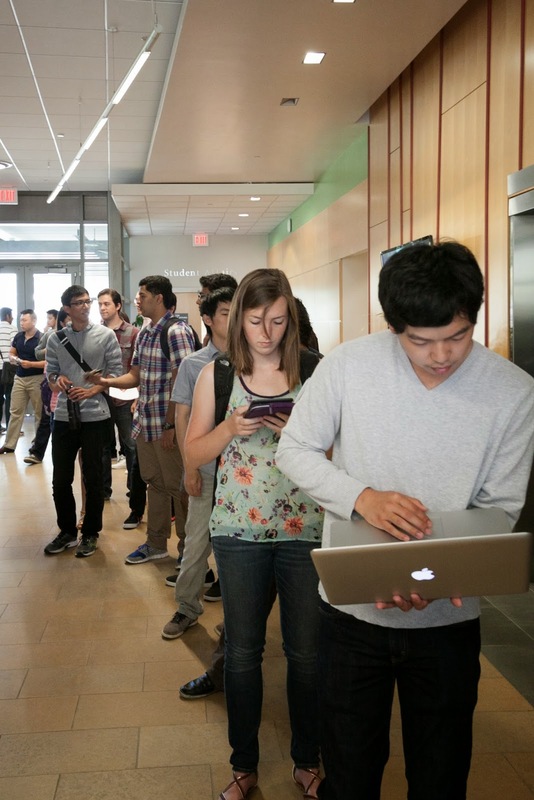 A line of students sneaked around the lobby of the Computer Science and Engineering building Oct. 16, waiting to talk to Facebook recruiters and employees--including our very own alum, Brina Lee, the first female engineer to work at Instagram after it was purchased by Facebook. Freshmen Nancy Ponce and Maya Bello stood patiently in line, talking with other students. "We're hoping to get a summer internship to get more experience," said Ponce, a computer engineering major who is from San Diego. She hoped the internship would help her figure out whether to she wants to switch to computer science. 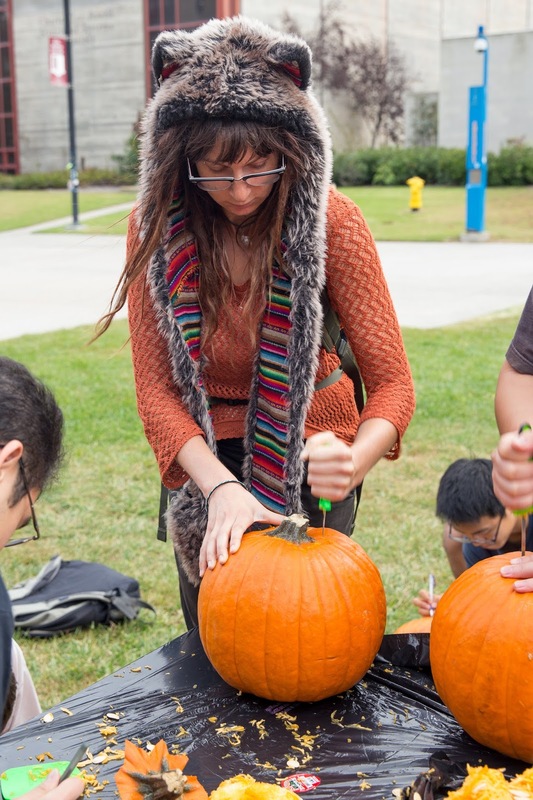 Ponce said she already felt comfortable around campus after attending the 5-week Summer Program for Incoming Students organized by the Department of Computer Science and Engineering. "It's always good to put yourself out there," said Bello, a computer science major from Oakland. She chose to come to UC San Diego because of its great computer science program--and because of the weather, she said. Even if they didn't get an internship, this would be good practice, they both agreed. Lee took a break from interviewing students to say that she had seen great candidates. So far, she wanted to interview them all, she said. "A lot of them are industry-focused," she said. "Which is great." 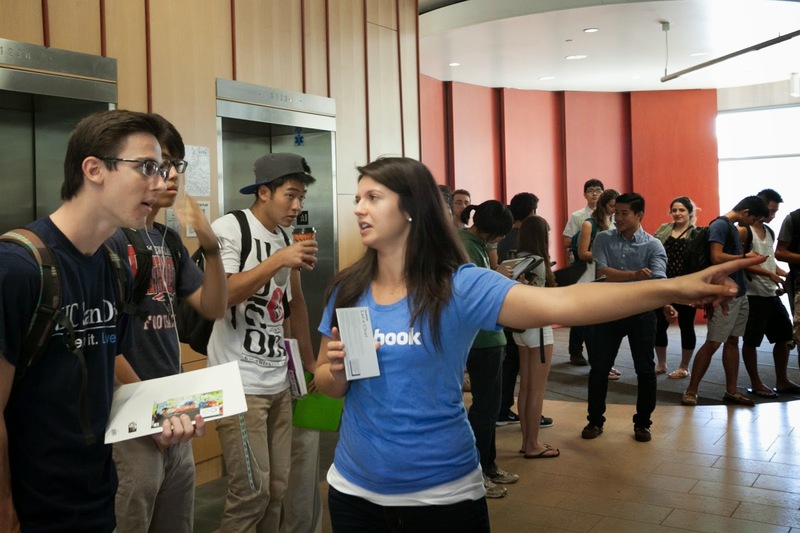 Some of the students peeled away from the Facebook line to attend a presentation by Pinterest right next door. The company handles a total of more than 20 terabytes of data and fields 110,000 requests a second. It's looking for engineers to help it grow. 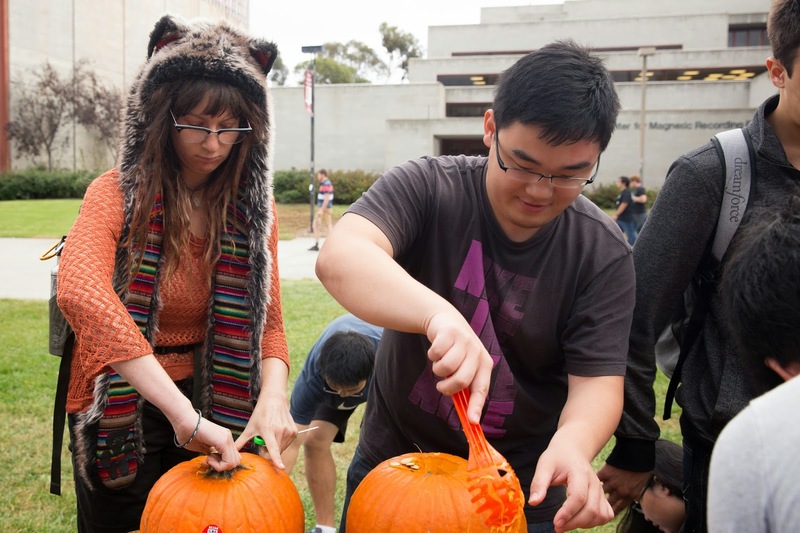 The event was organized by the UC San Diego chapter of Women in Computing. Everyone got pizza--and a Pinterest-labeled Mason jar. 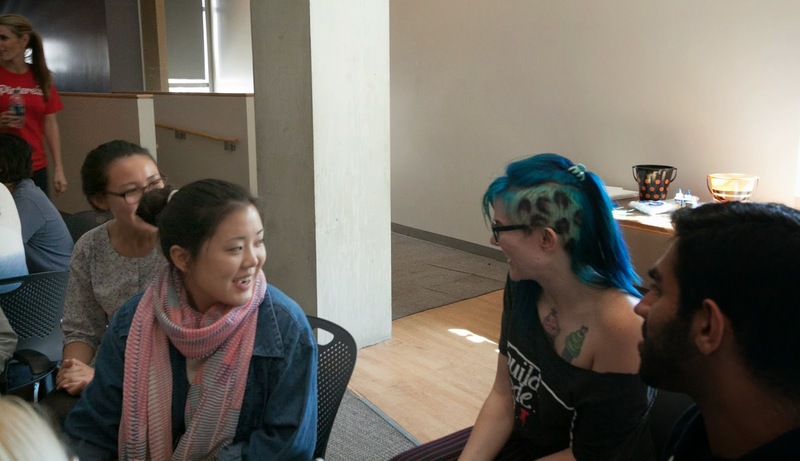 Maya Bello, left, talks with a fellow student. 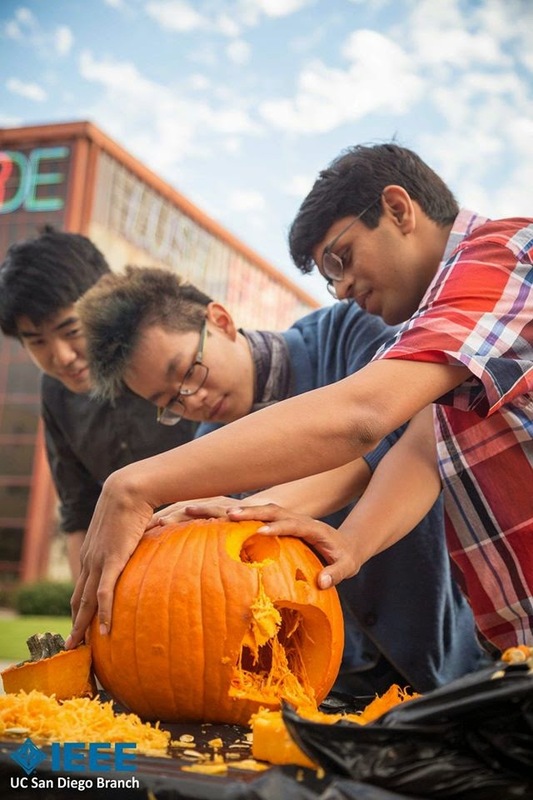 Calling all Jacobs School of Engineering students. 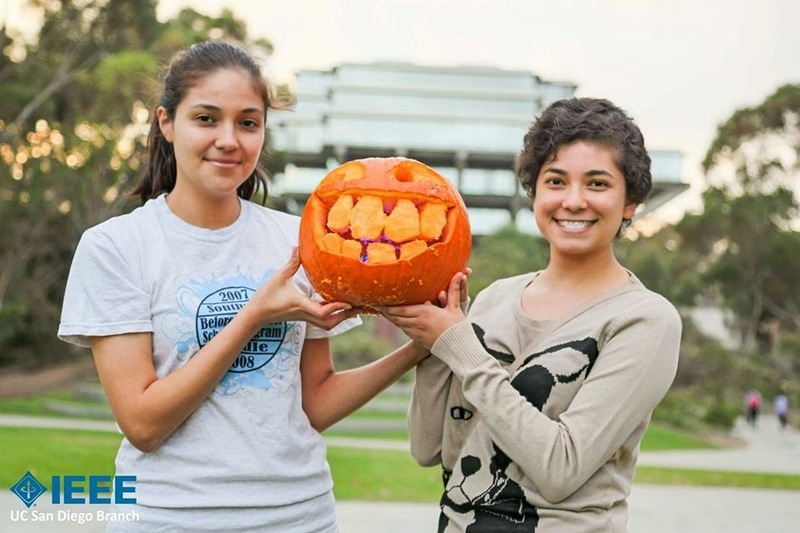 Send in your exciting / dramatic / fun photos & illustrations of your engineering projects or activities from classes, labs, project teams, outreach initiatives or other activities related to your engineering studies at UC San Diego. We are looking for an image (or images) for the cover of the next issue of Pulse magazine (the Jacobs School of Engineering's alumni magazine). You can see past cover images here. We are looking for an image or images that capture the excitement of some of the projects happening at the Jacobs School. Deadline for submission: Nov 3. If your photos are in the running for the cover, we will let you know. All images that illustrate engineering at the Jacobs School and include a caption will be posted here, on the Jacobs School blog. Questions: feel free to send me an email. 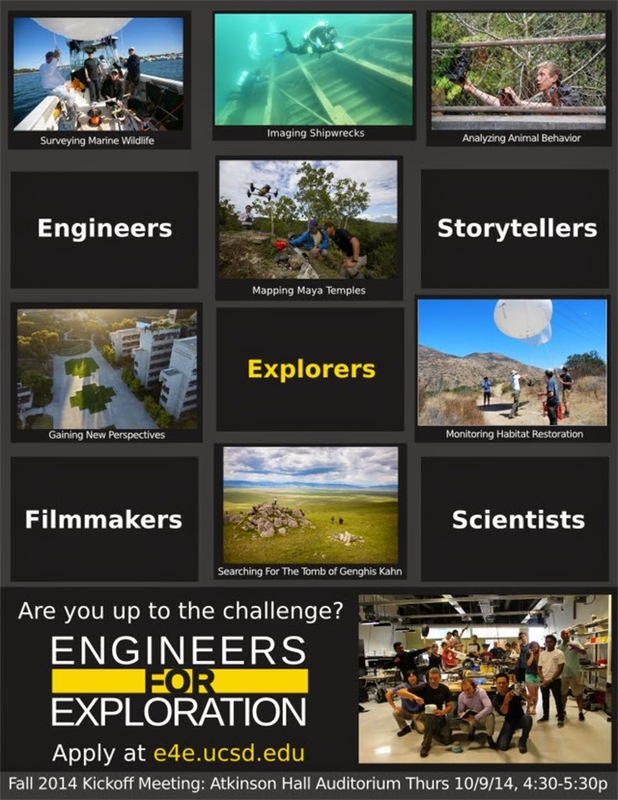 Engineers for Exploration is one of the many great opportunities at the fingertips of engineering students at the Jacobs School of Engineering at UC San Diego. Just peruse their list of technology platforms and you will get an idea of the exciting opportunities (see below). Find out about the opportunities in person and hear about some of their exciting past adventures. When? Thursday, Oct. 9 from 4:30-5:30pm in the Calit2 Auditorium, Atkinson Hall. Where? Calit2 Auditorium, Atkinson Hall (Qualcomm Institute). All majors welcome. Attend this Gordon Engineering Leadership Forum on Thursday October 16, 3:30-4:30 pm at Atkinson Hall Auditorium (Qualcomm Institute). 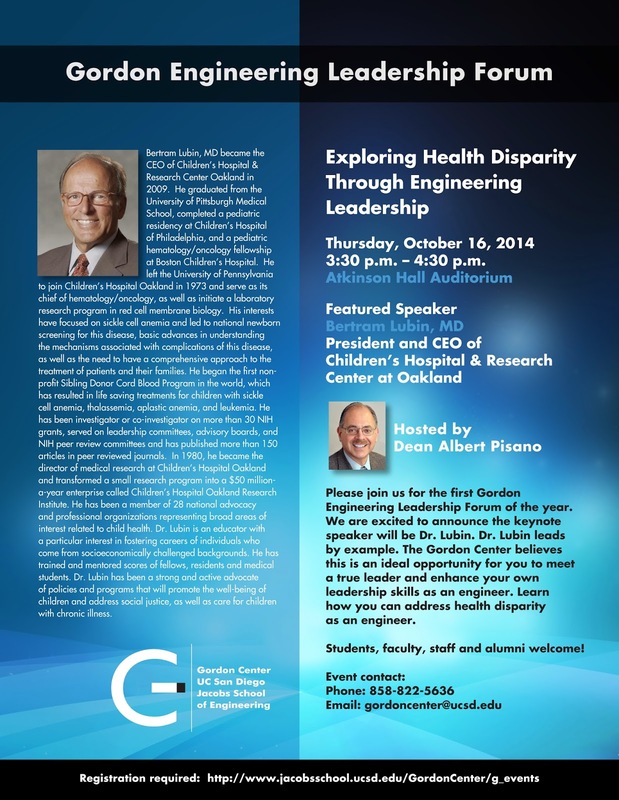 Forum speaker: Dr. Bert Lubin, President and CEO of Children's Hospital & Research Center in Oakland, CA. Gordon Engineering Leadership Forums are a great opportunity for the Jacobs School of Engineering community including students, faculty, alumni, staff and local industry professionals, to connect and gain insights on many different aspects of engineering leadership through the experiences of remarkable individuals. The program will be followed by networking with refreshments. The Gordon Engineering Leadership Center will provide parking codes to alumni who attend. The Gordon Center offers a novel, end-to-end set of leadership and training curricula for students at the high school, undergraduate and graduate levels, as well as for professionals working in the technology fields. Through its Gordon Scholars and Engineering Leadership Awards, the Center identifies and celebrates talented individuals with leadership potential. In addition, the Center exposes students to the advice, experience and attitudes of proven engineering leaders through training events including workshops, leadership forums, and summer schools. 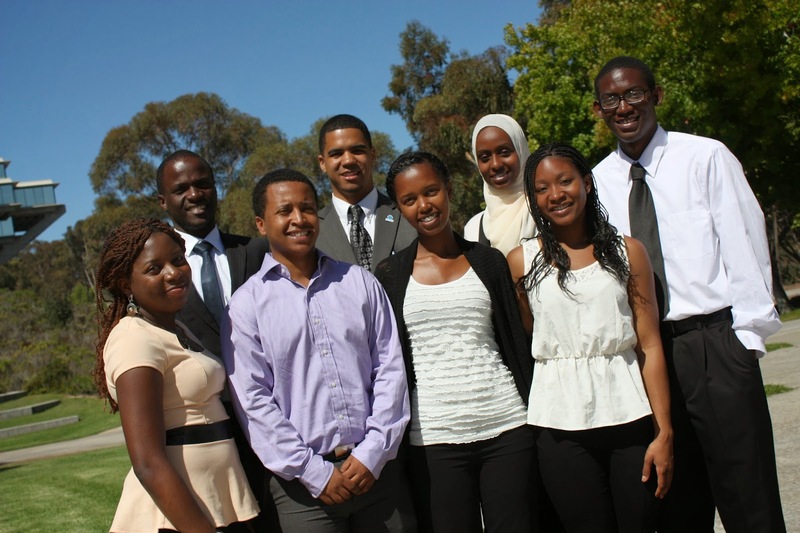 In 2013, the UC San Diego student chapter of the National Society of Black Engineers (NSBE) established an NSBE Jr. Chapter at Town and Country Learning Center in Southeast San Diego. To the best of our knowledge, this is the first NSBE Jr. Chapter at a community-learning center (most are established at schools, which the UC San Diego student chapter has done as well). 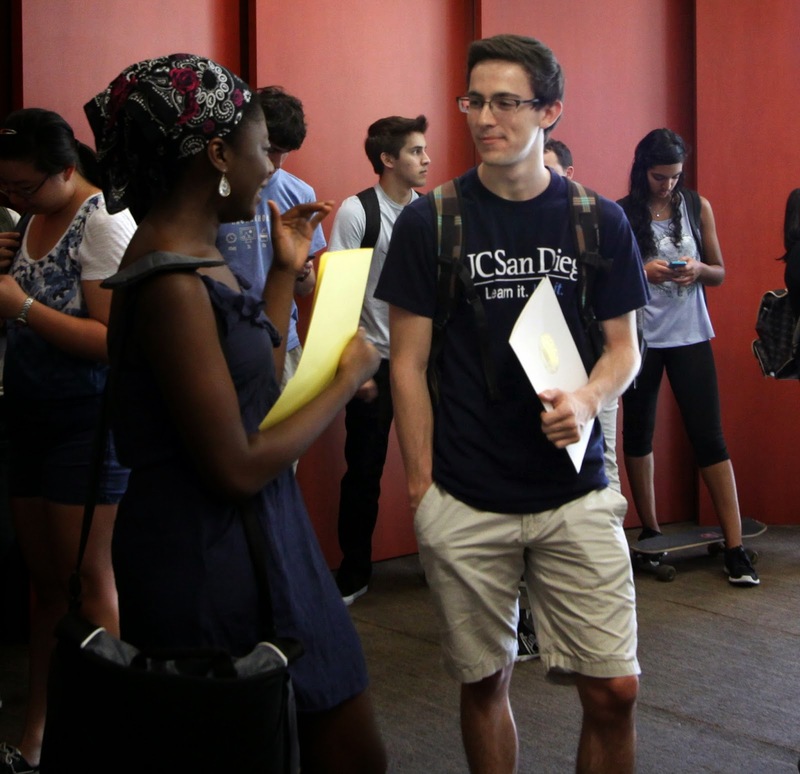 Keep reading for more info on NSBE activities at UC San Diego from Michelle Ferrez, Director of the IDEA Student Center at the UC San Diego Jacobs School of Engineering. The mission of the National Society of Black Engineers (NSBE) is to increase the number of culturally responsible Black engineers who excel academically, succeed professionally and positively impact the community. The UC San Diego NSBE Chapter has continuously fulfilled the NSBE mission by the establishment of NSBE Jr. Chapters at local San Diego High Schools. NSBE Junior strives to stimulate student interest in technical fields such as science, mathematics, and engineering. In response to the lack of African Americans pursuing degrees in engineering and science, NSBE serves as a source to encourage students to attend college and pursue technical degrees. At the same time, UC San Diego NSBE recognized that although schools and teachers bear principal responsibility for children’s education, having a supportive and stable home environment can complement the efforts of educators, leading to better student achievement in high school. 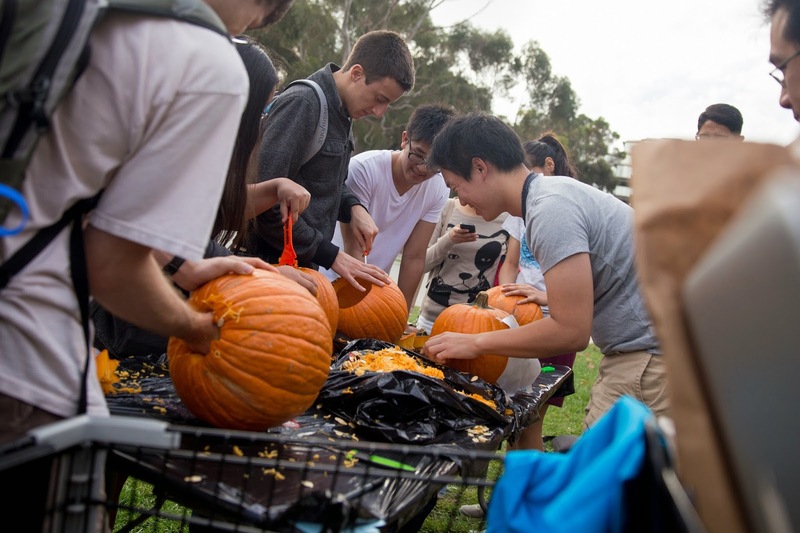 In 2010, the UC San Diego NSBE student chapter began to work with Town and Country Learning Center located in Southeast San Diego, to increase the scholastic achievement of students who live in an affordable housing community. 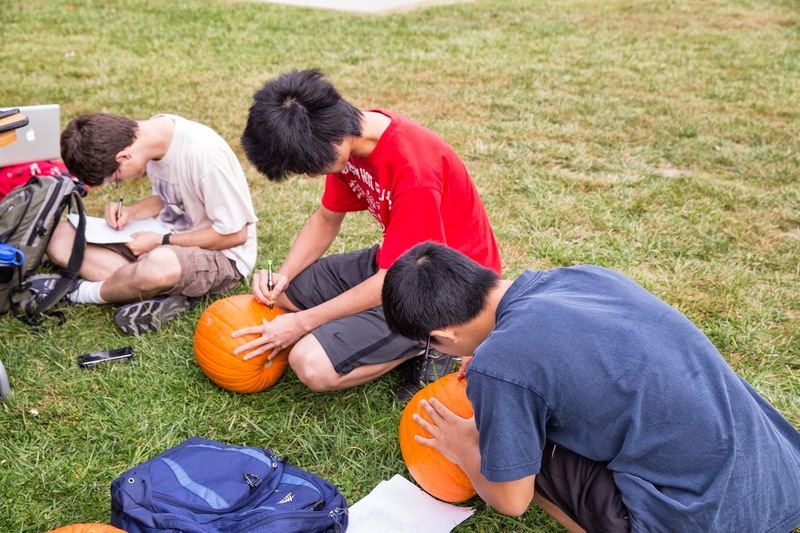 The goal was to create a pipeline of students who value academic success by providing peer mentorship (“buddies”), tutoring, and academic skill workshops. While many factors affect school outcomes among low-income children, including parental involvement and school quality, meeting children’s basic housing needs is a critical part of school readiness and academic success. 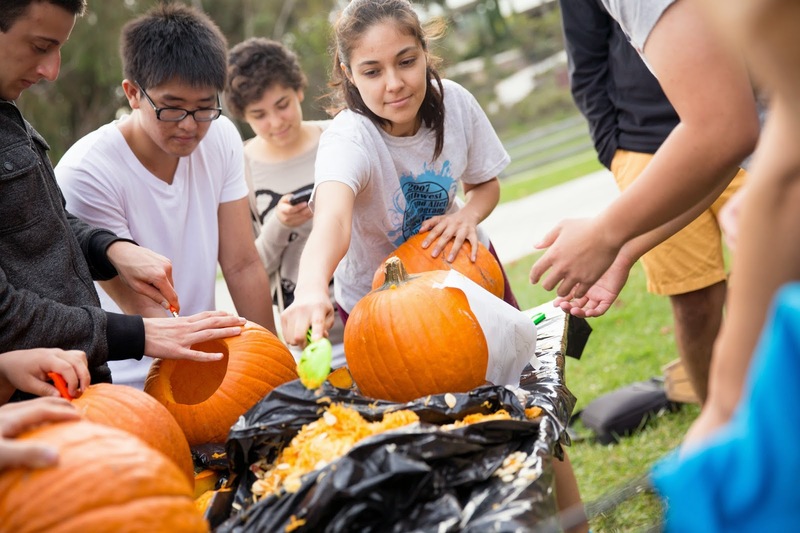 In 2013, UC San Diego NSBE was able to formalize their work at Town and Country Learning Center by establishing the first NSBE Jr. Chapter at a community-learning center and creating an Academic Success Program for any middle/high school student living in the community. Through the “buddy system”, NSBE JRs have attended local/national NSBE professional conferences, have participated in the San Diego NSBE Summer SEEK program (Summer Engineering Experience for Kids), and attend the Annual UC San Diego NSBE Leadership Banquet. 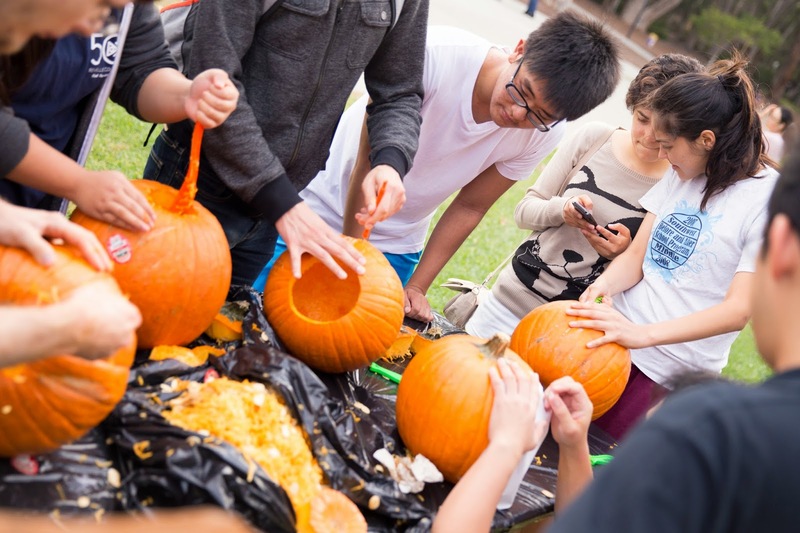 Summary written by Michelle Ferrez, Director of the IDEA Student Center at the UC San Diego Jacobs School of Engineering. Four student members of BMES traveled to DC with bioengineering professor John Watson to participate in the NAE’s 50th anniversary celebration including Teryn Johnson, Michelle Ragsac, Clarence Mah and Andrea Ngo. Ragsac actually hand drew every frame of the video using a stylus connected to her computer. The narration was done by a high school friend of Mah’s who happens to be a voice actor. 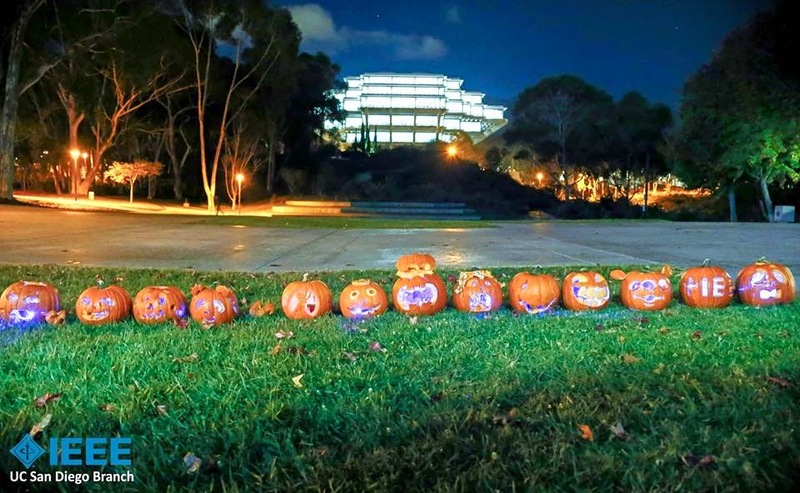 “The focus of BMES here at UC San Diego is to improve the quality of life of bioengineering students by helping them grow both on a professional and personal level,” said Johnson, the society’s president. 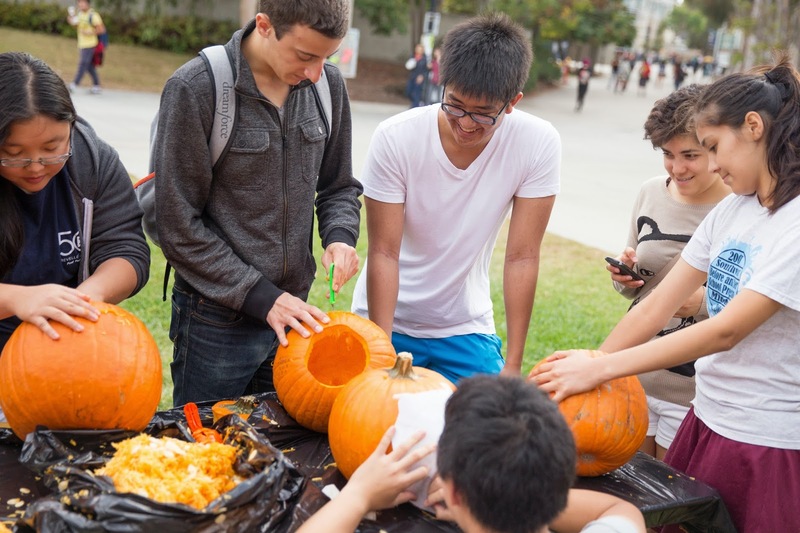 Some of BMES’ larger events include Bioengineering Day and Lab Expo. 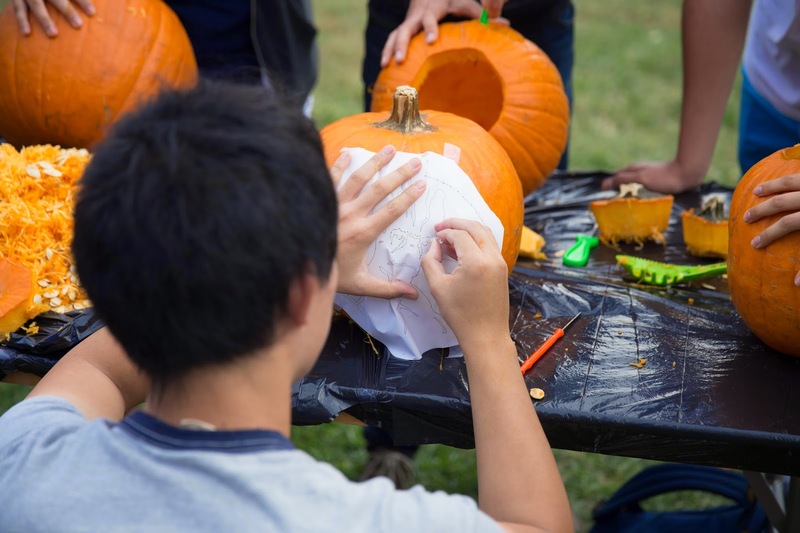 Johnson said a portion of the winnings would probably be spent on devices such as dry electrodes and spirometers that can be used in hands-on demonstrations as part of the club’s outreach to get K-12 students interested in studying engineering. 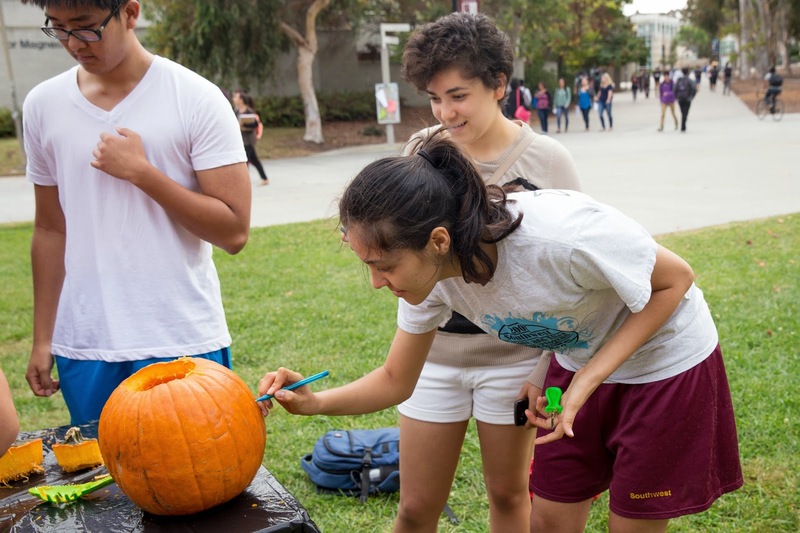 “We are extremely proud of our students and their efforts beyond the classroom to develop into well-rounded leaders for their future engineering careers,” said John Watson, professor of bioengineering and the faculty advisor for BMES at UC San Diego. L-R Michelle Ragsac (animator), Clarence Mah, Teryn Johnson, Bioengineering Professor John Watson and Andrea Ngo pose with Albert Einstein at the National Academy of Sciences in Washington, D.C. The Engineering for You contest invited participants to submit a 1-2 minute video showing engineering’s impact on society in the last 50 years and to project its contributions in the next 50 years. 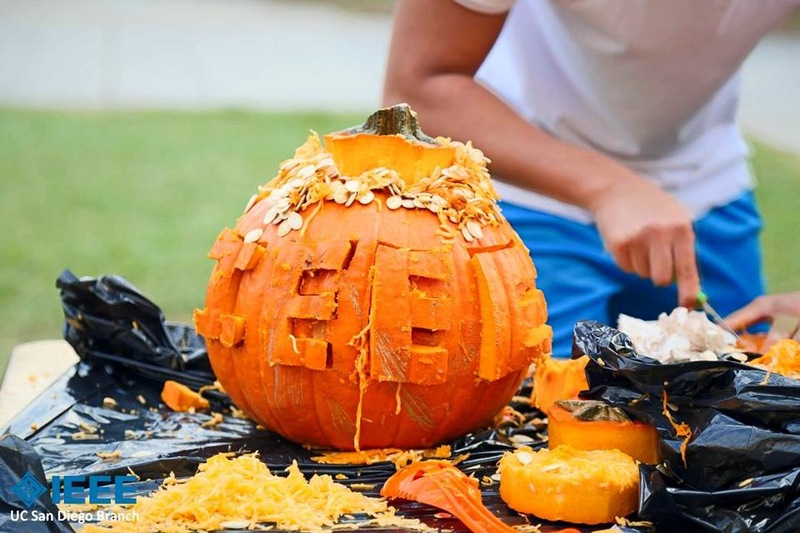 More than 600 videos were submitted in six categories: middle school and younger (K-8); high school (grades nine-12); tertiary education (2-year college through graduate school, full or part time); NAE Frontiers of Engineering and Frontiers of Engineering Education participants/alumni; NAE members and foreign members; and the general public. The People’s Choice Award was chosen by the public through voting on the NAE YouTube channel.